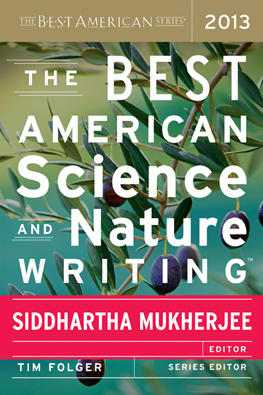 As a reader who is tuned into the field of science writing, I was reading along quite happily. Then I hit Nathaniel Rich and the immortal jellyfish. As an informed reader, I suddently had a problem. If you don’t know anything about science writing, you would probably just continue reading with no red flags, but this is itself an issue. Rich’s immortal jellyfish story from the New York Times Magazine, caused a controvery. There were take-downs of Rich’s story published by Jonathan Eisen and Paul Raeburn on the Knight Science Journalism Tracker. While Rich’s piece didn’t make errors that warranted action by the Times, I think that the criticisms of the way he represented the science are extremely important to acknowledge. The bottom line here is that rejuvenation in jellyfish is fascinating, but the term immortal isn’t exactly accurate and trying to draw any application to humans is fairly misleading. So, okay fine, I take issue with one of the stories in this collection. Is it really that big of a deal? Collections have the most value for lay audiences, because they carry the weight of the community, they imply, “here, we present you these stories, they are great.” But a collection isn’t vetted by a community, it is the opinion of the editors. In this case, an opinion that I disagree with. I do not think Rich’s jellyfish story represents the BEST that we as a science writing community can create. Misrepresenting the science isn’t some little problem – better than making stuff up, of course – but still, we’re talking the BEST here. This isn’t a bad collection, and I’m not saying that all collections are problematic. But, particularly with science writing, it is easy to misrepresent science even when you are trying your best to get it right. You need context. You need nuance. If a collection of science writing is to do its job, and serve as a gate keeper for a lay audience as to what is worth reading and what is not then it needs to take into account more than just the beauty of a turn of phrase. It needs to be correct. A quick google search shows that there are dissenting voices regarding the immortality of jellies. There are other stories that could have been chosen, hell there is a notable mentions list in this book of other good work, so including something that doesn’t really get it right didn’t need to happen. The inherent flaw with a print collection, and what I find I missed most having left the Internet for paper, is that there is no easy way to say, “for a different opinion” or “for additional comments” click here, look at this other thing, there is a whole array of opinions about this. As a reader you are just left with the jellyfish and the assumption that there is no controversy, and that this is the best we have to offer. If the science is misrepresented then it doesn’t matter how nice the writing is – it simply can’t be considered the best. Therefore, as I said in the beginning, my thoughts are mixed. There is great work here, and in general I like the idea of collections. There is a downside though, and in dissenting with the opinion of the editors, I was left feeling frustrated. If a science story really is to be considered the best, it would be beautiful AND accurate with all of the nuance that the story deserves. It is difficult to get it right, and do it in such a way that it is compelling – but that is what sets apart the best writing. At least, in my opinion.